In this retelling of Snow White, set in medieval Venice, tortured Dolce flees her home after her mother dies and is befriended by little Bianca and Bianca's father Marin. Dolce, raised by dwarfs, has always seen herself as some sort of giant monster and is astonished to discover that she is actually normal-sized! For his part, Marin adores Dolce and brings her home. Living with him and Bianca, Dolce is no longer treated as an oddity. Marin marries her and Dolce settles. But she is not at peace. Instead, she becomes obsessed with freeing the dwarfs of Venice, who are kept in servitude for the amusement of the nobility. To buy their freedom, Dolce creates little mirrors, made of the clearest glass and backed with tin and quicksilver. That the quicksilver is toxic, she knows, but her obsession to free more people makes her reckless in handling it and leads her into madness. Another beautifully researched historical novels from Napoli, who does them so well and also does some of the most sophisticated retellings of myths and fables. That's a potent combination in this novel. There's all sorts of lovely detail here (from the science of mirror making and glass blowing to the social mores of the Venetians). And Napoli's re-imagining of the fairy tale and her refusal to fall on to magic in any way (she adeptly provides plausible explanations for everything from the poison apple to the glass coffin to the Prince's rescue) is enchanting. However, I found this storytelling itself hard going. 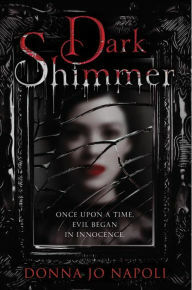 The beginning was fairly slow and it's only half-way through that the story of Snow White became recognizable. This is also the point in the story where our heroine becomes the villain -- a twist which is awkward in its unexpectedness. Having invested rather heavily in Dolce, it is asking a lot of the reader to accept her transformation. It makes her more sympathetic, to be certain, but should fairy tales really have sympathetic villains?